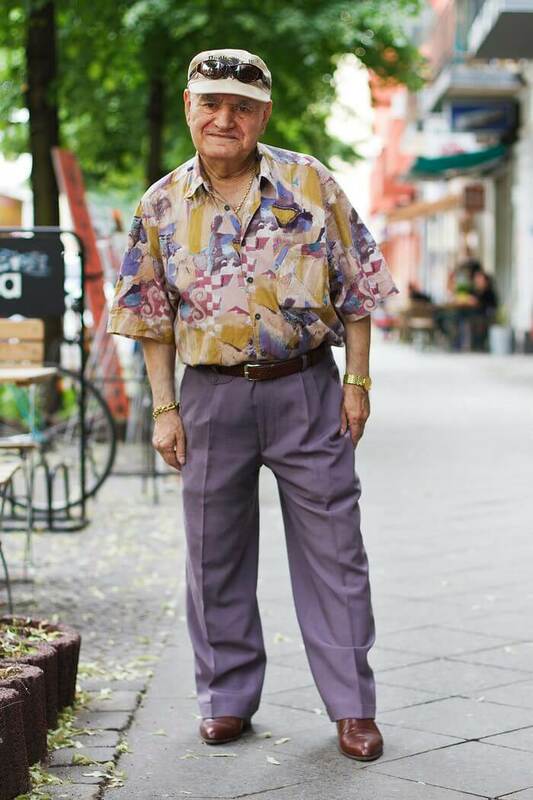 Being stylish has nothing to do with age. 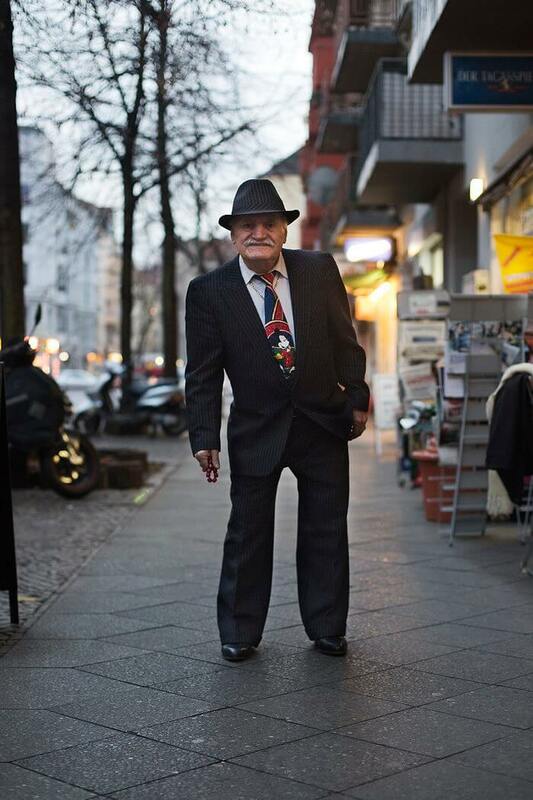 Living proof for this statement is an 86-year-old tailor who is grabbing people’s attention walking the streets of Berlin wearing a different outfit every day with a grace and style. 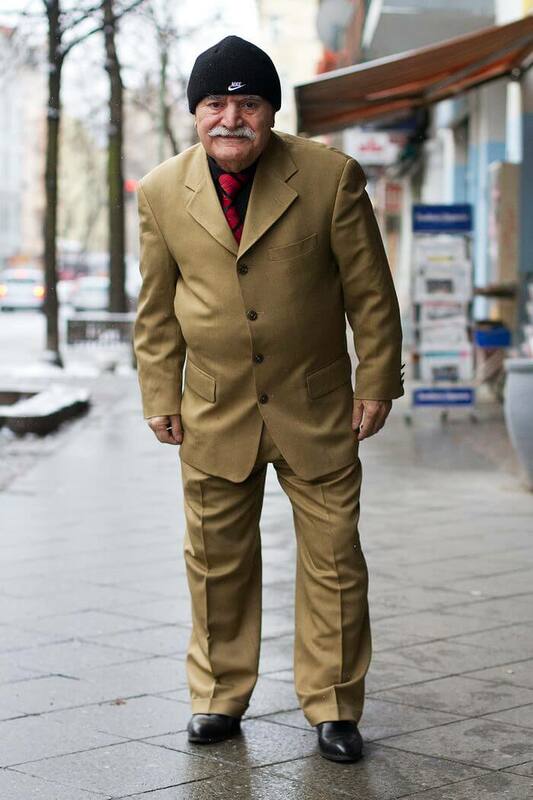 His name is Ali and, as you can see in the gallery, he’s a walking brand of his tailoring business. 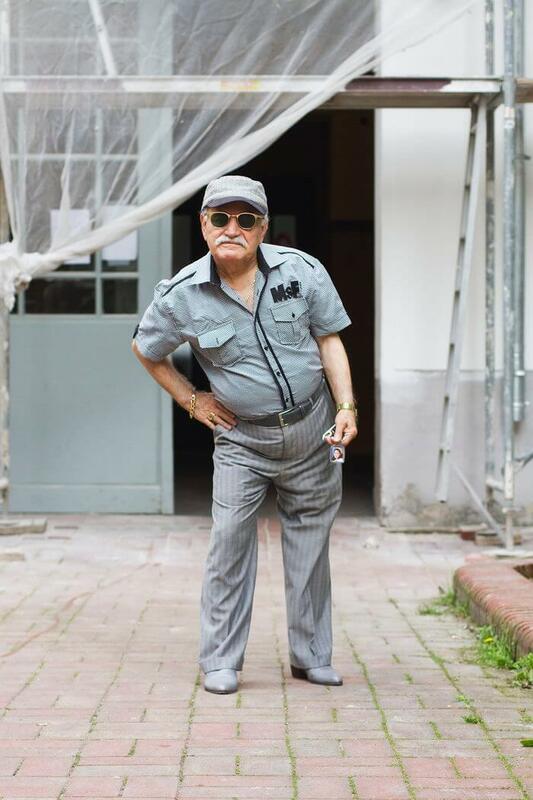 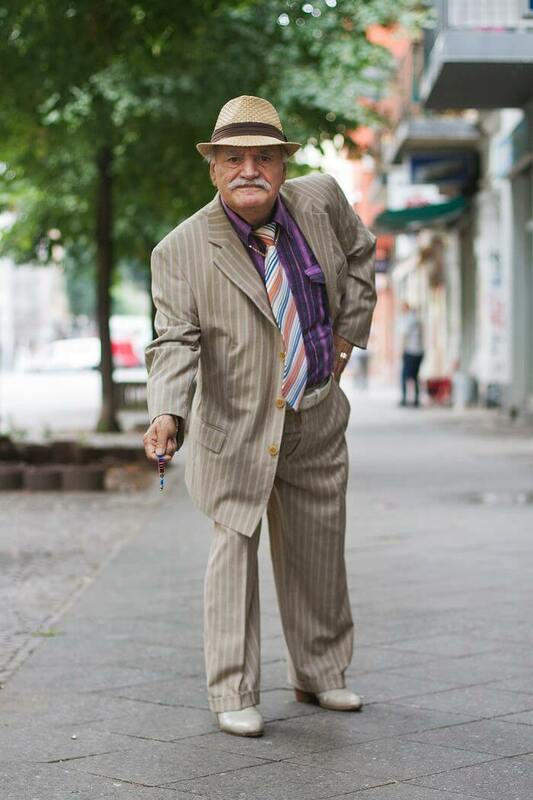 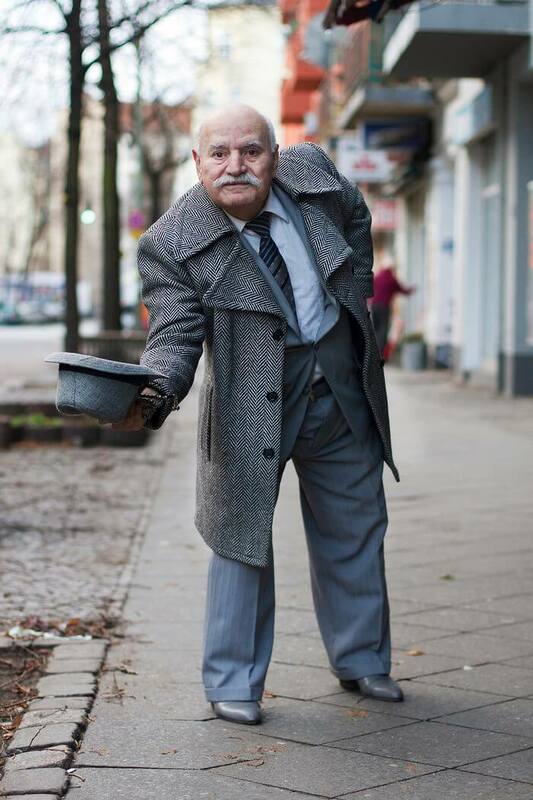 The Turkish/German octogenarian got noticed by photographer Zoe Spawton back in 2012 when he kept walking past her workplace every day. 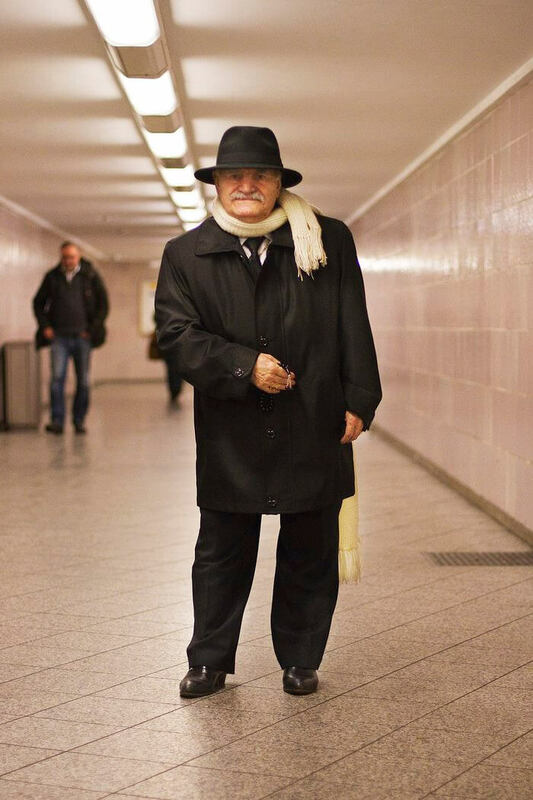 She was intrigued by his stylish attitude and will to pull different look every single day. 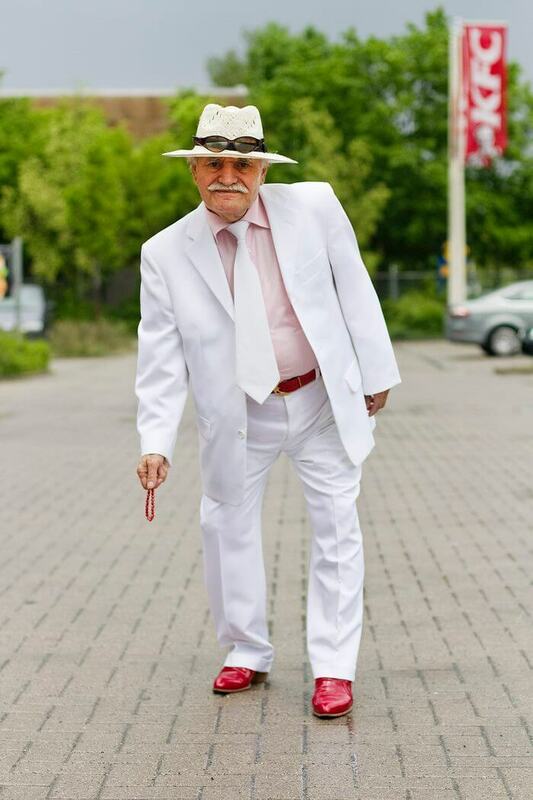 So, Zoe started taking pictures of this interesting octogenarian on a regular basis with his full collaboration as you can see in the photos. 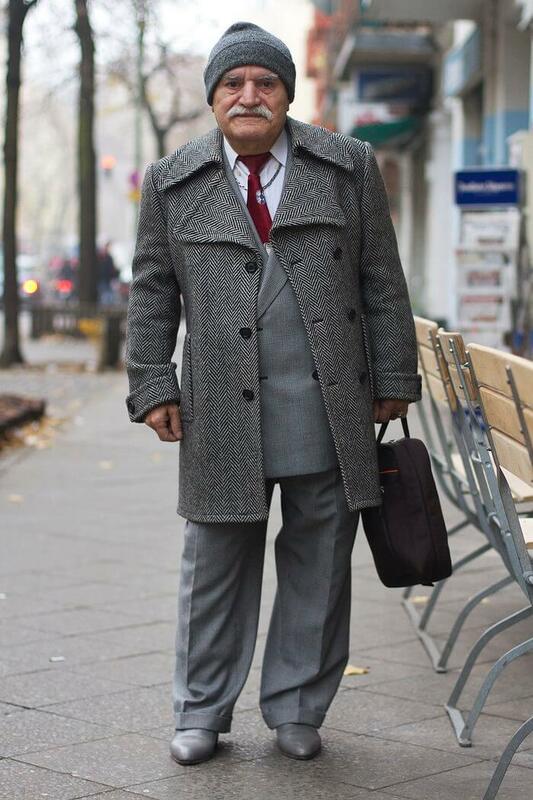 She even opened a blog to post pictures of Ali which she called “What Ali Wore”. 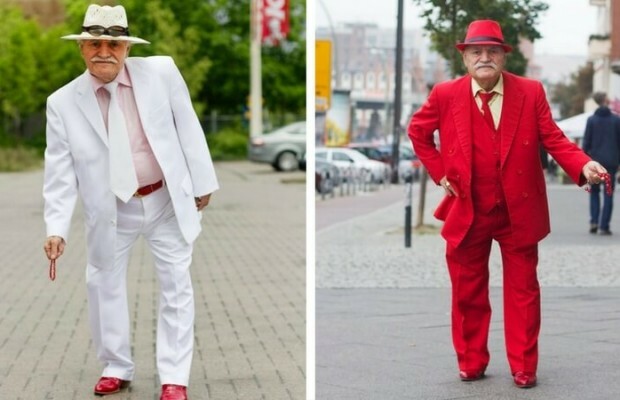 She kept with this practice for three years. 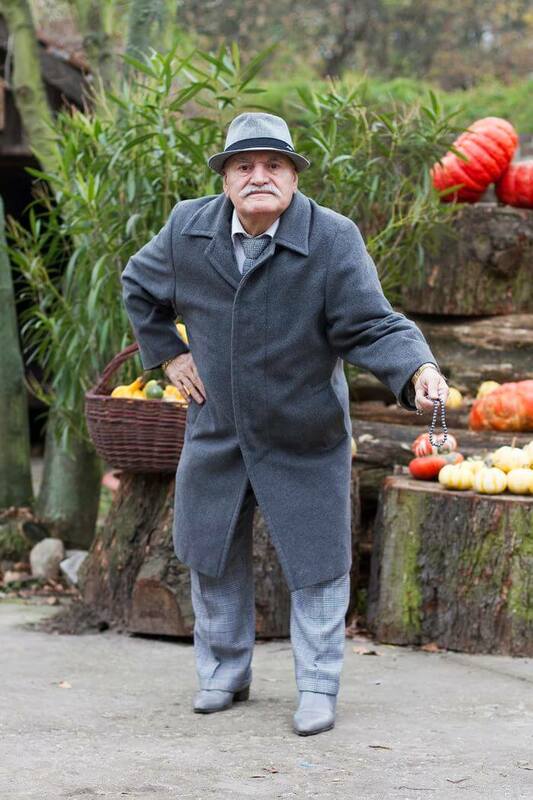 If you visit the blog mentioned you can see the best Ali’s outfits during this period and check some of them in the gallery below. 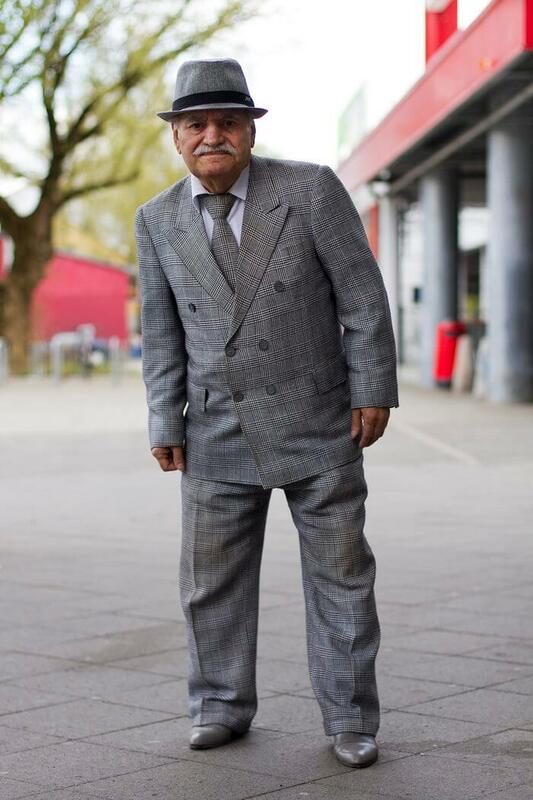 Ali is a tailor and is 86-year-old. 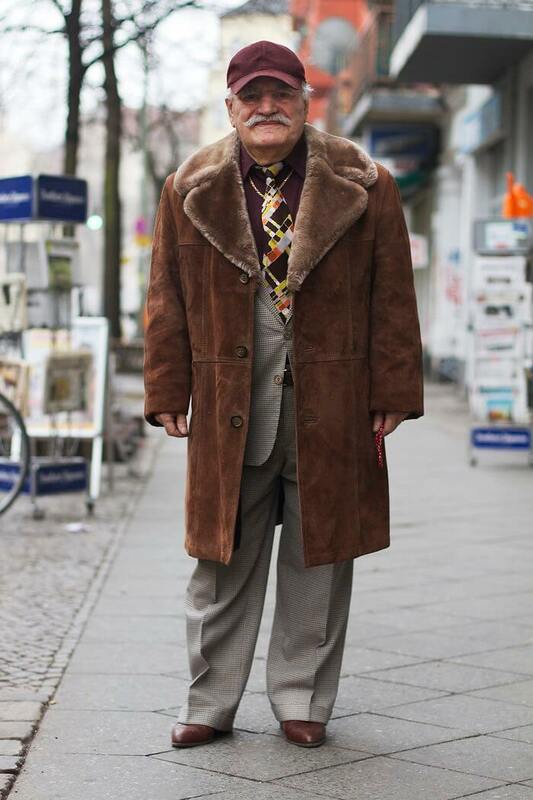 Every day Ali picks a different outfit when goes to work and he does it with a style. 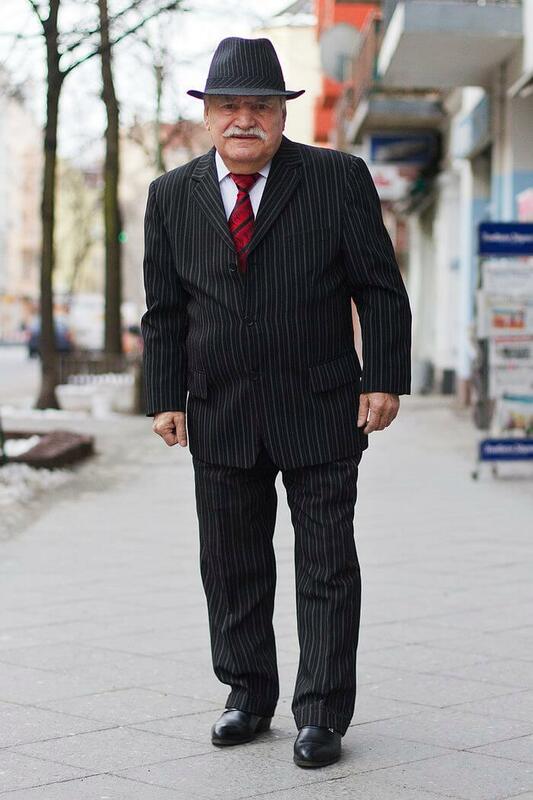 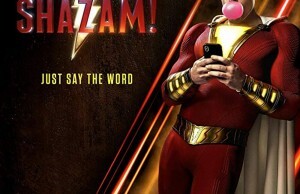 We can say he’s a walking brand of his tailoring business. 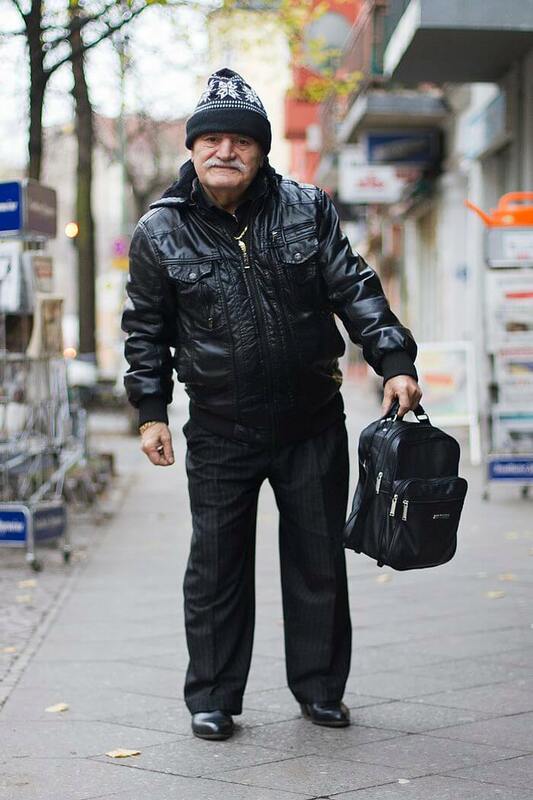 Walking the streets of Berlin Ali can’t pass unnoticed thanks to his stylish outfits. 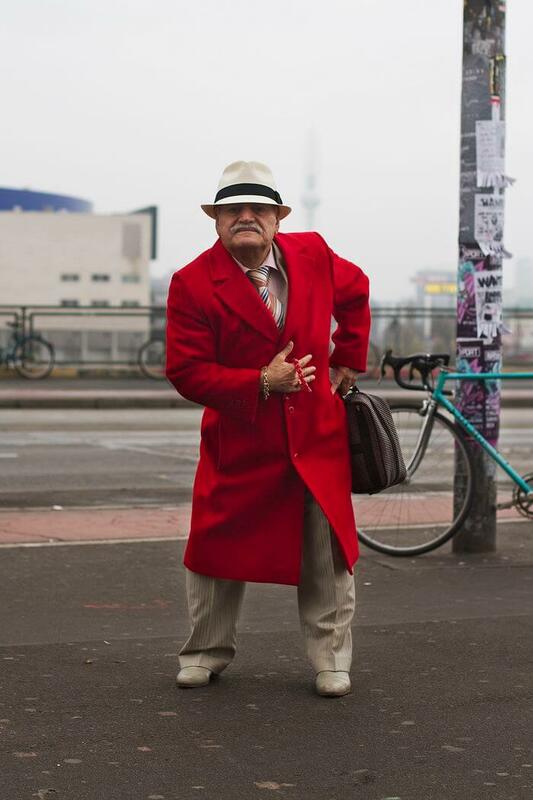 Photographer Zoe Spawton noticed Ali in 2012. 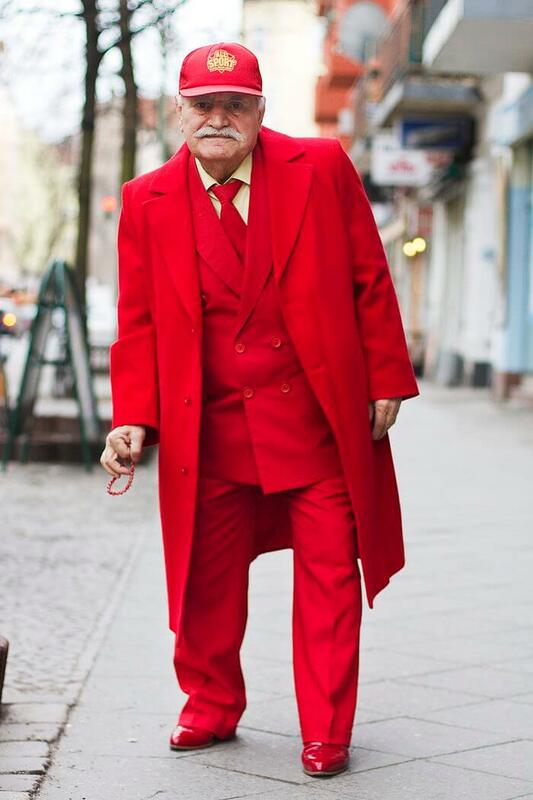 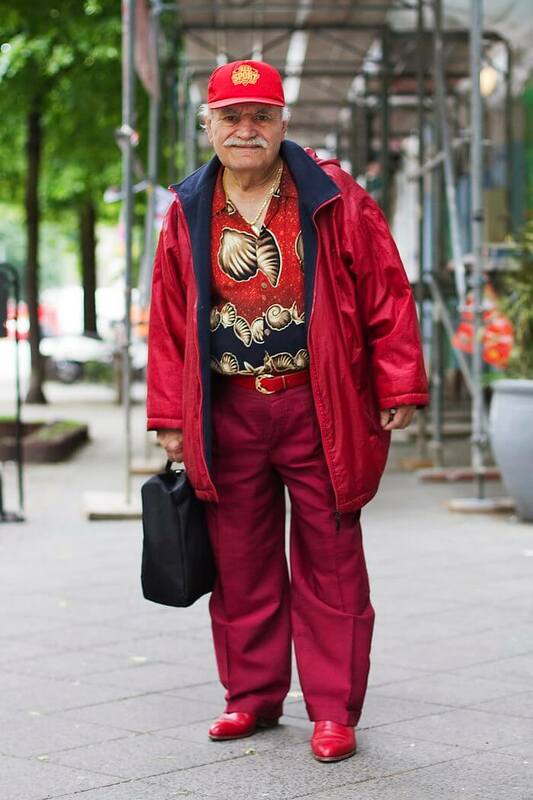 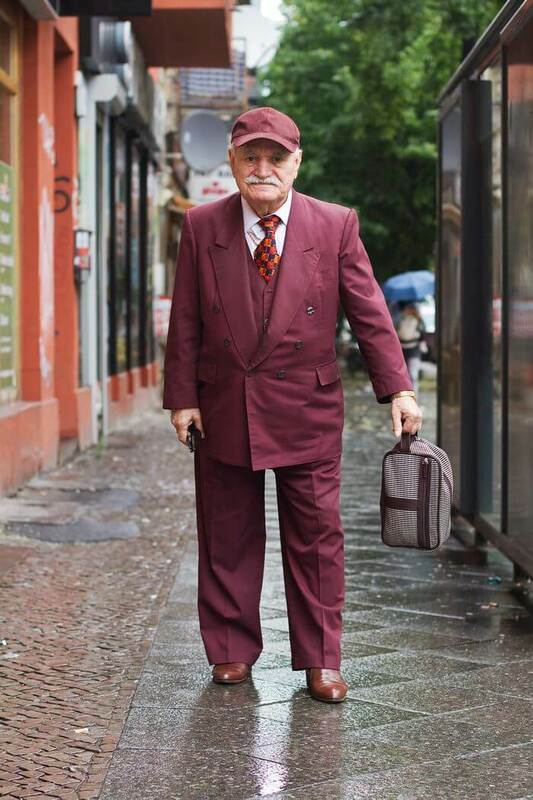 Ever since, she photographed the stylish octogenarian regularly as he passes by her workplace every day. 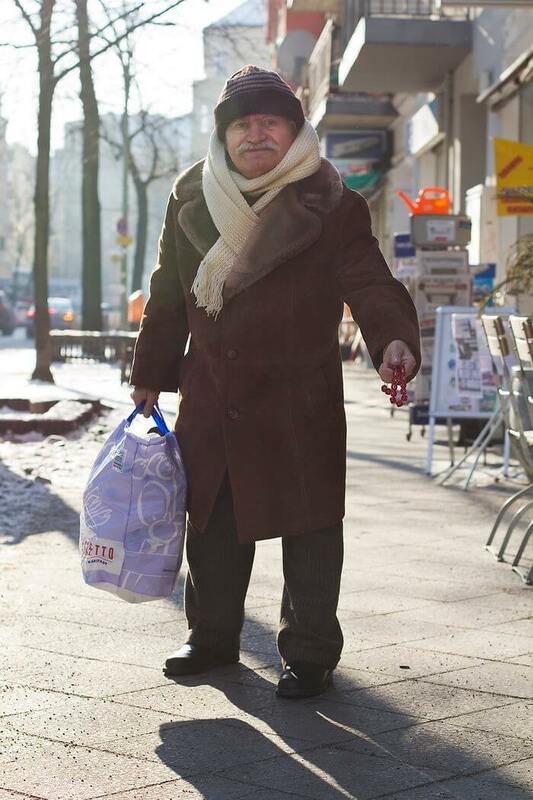 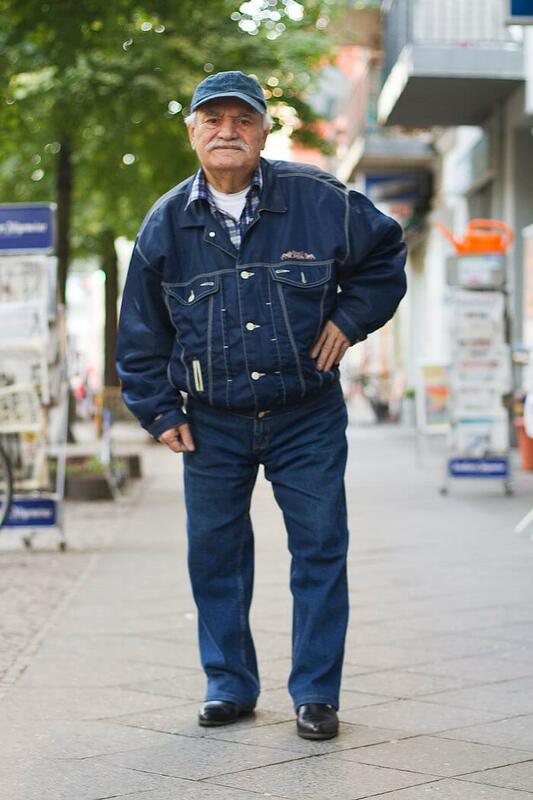 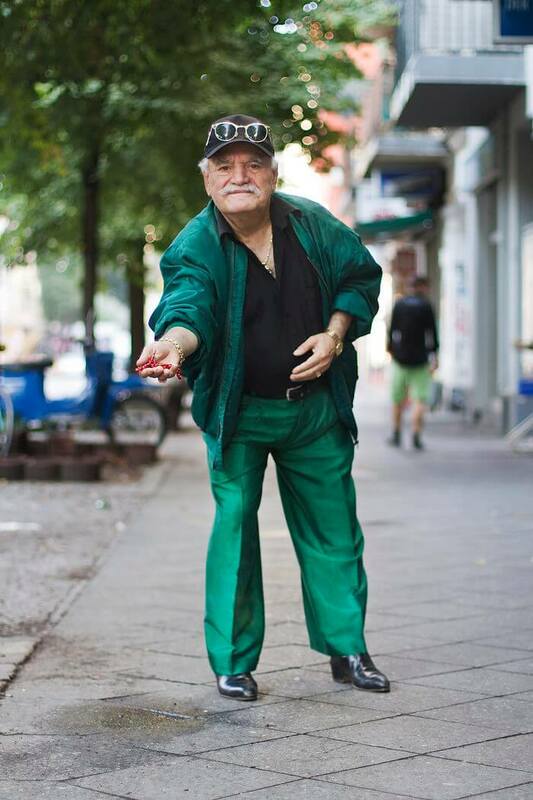 Ali moved to Germany from Turkey more than four decades ago. 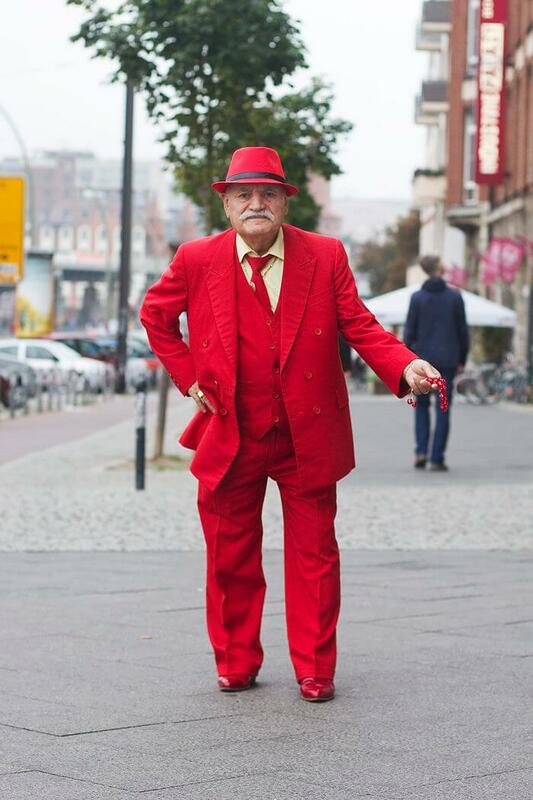 He was once a doctor, but now he’s a tailor, although that should come as no surprise when you see his flair for fashion. 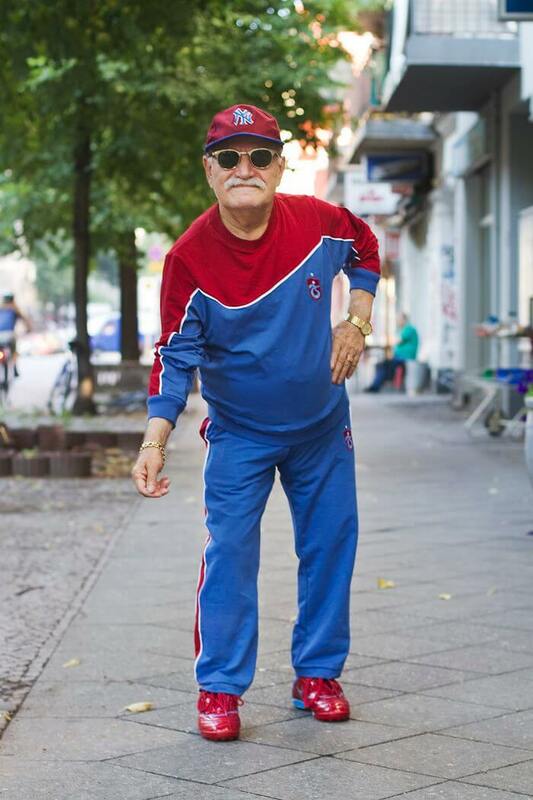 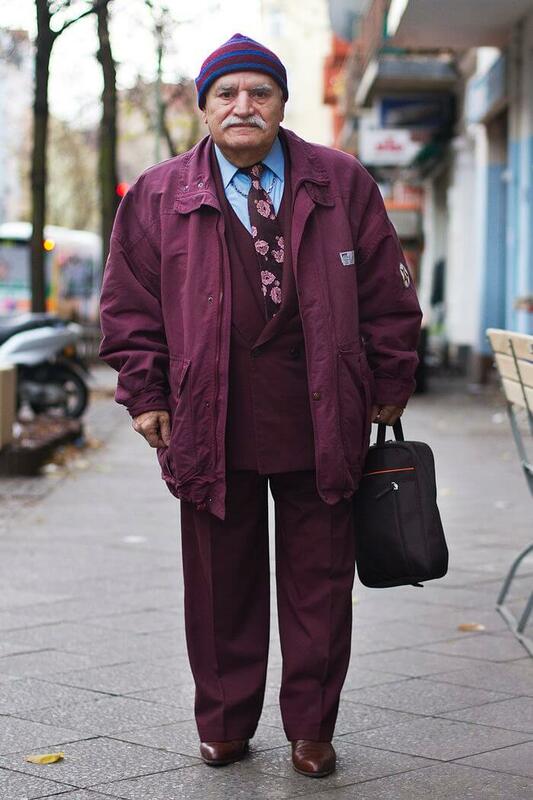 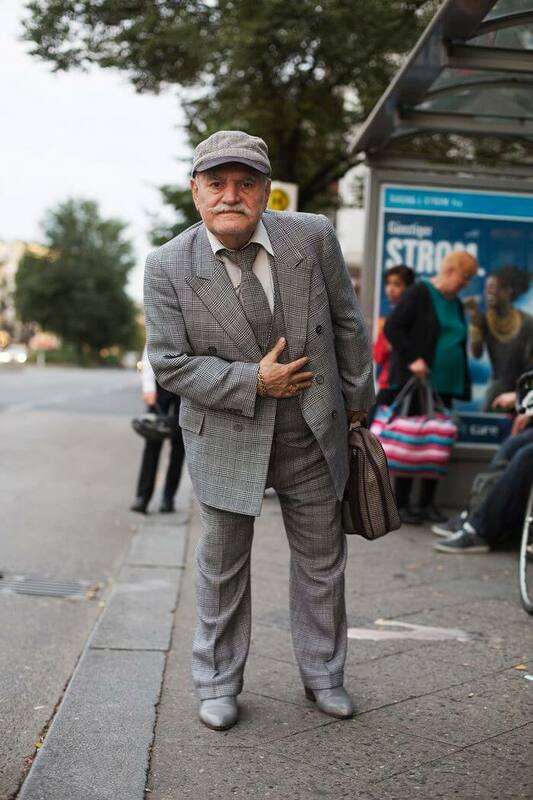 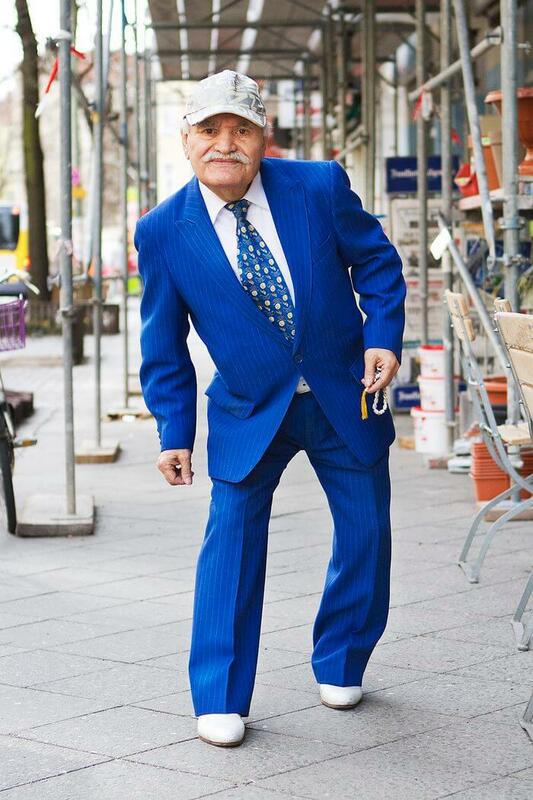 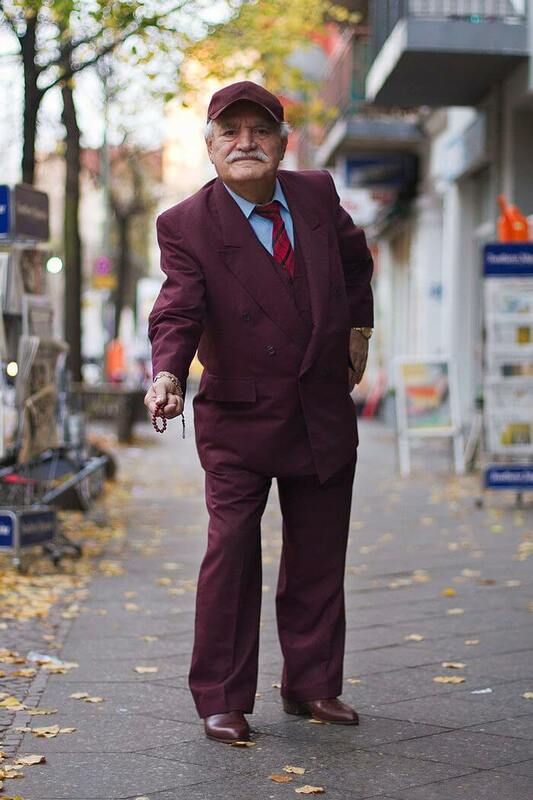 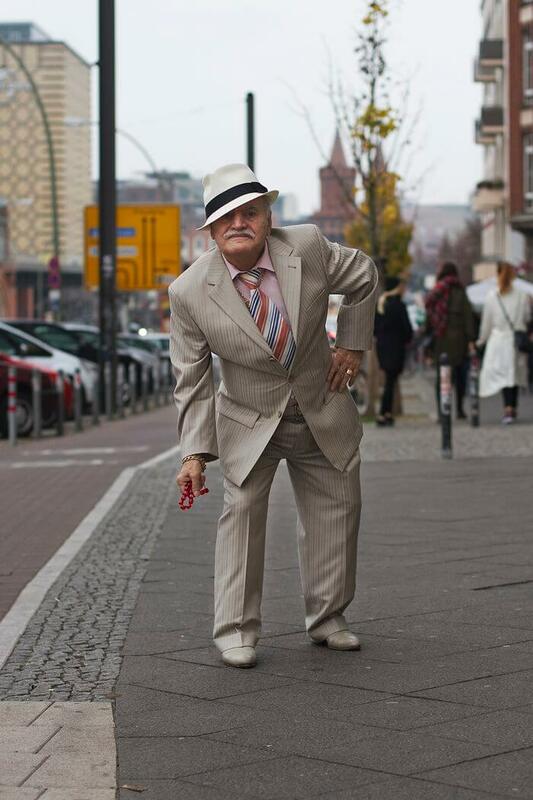 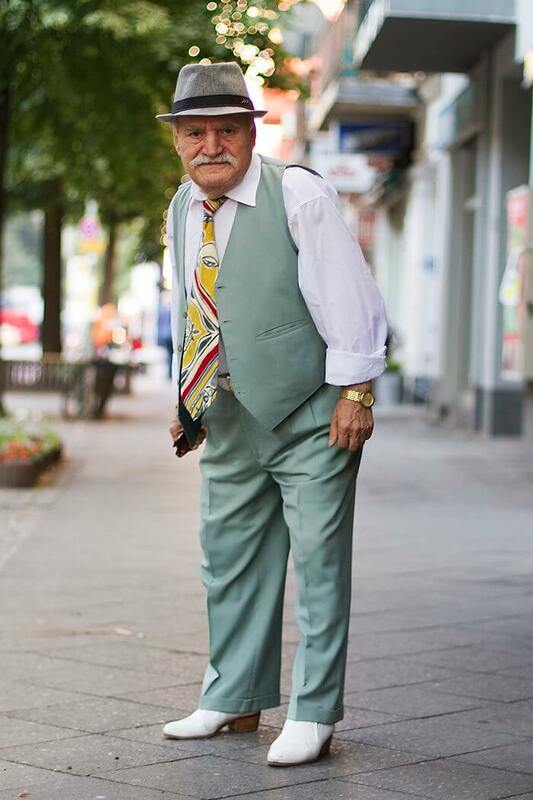 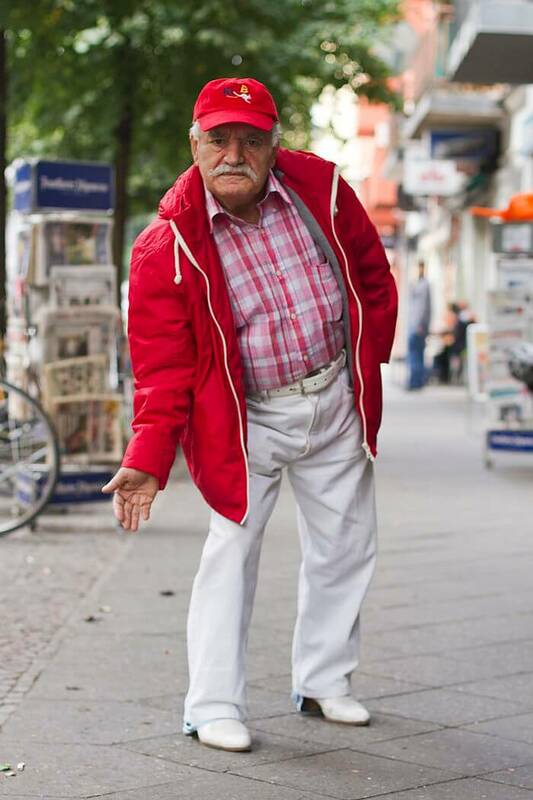 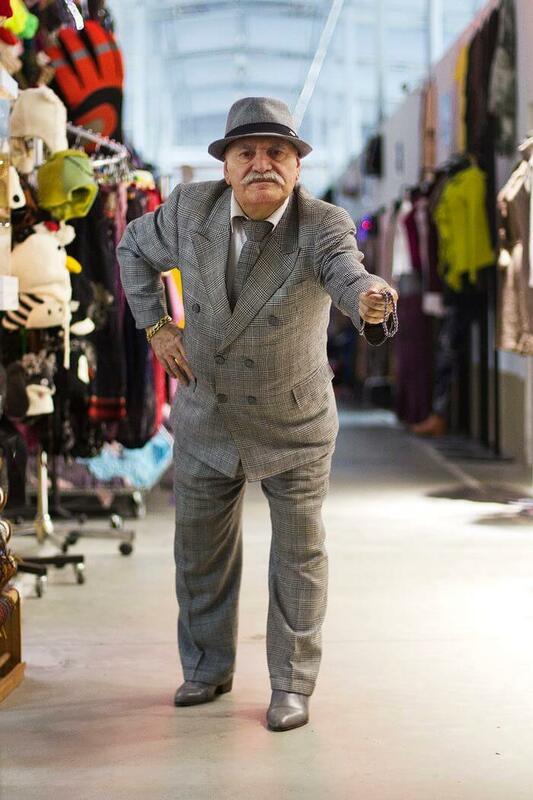 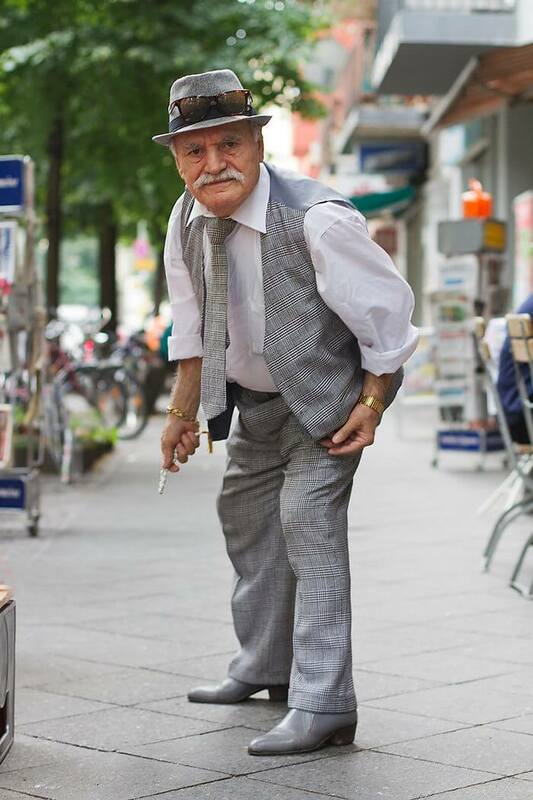 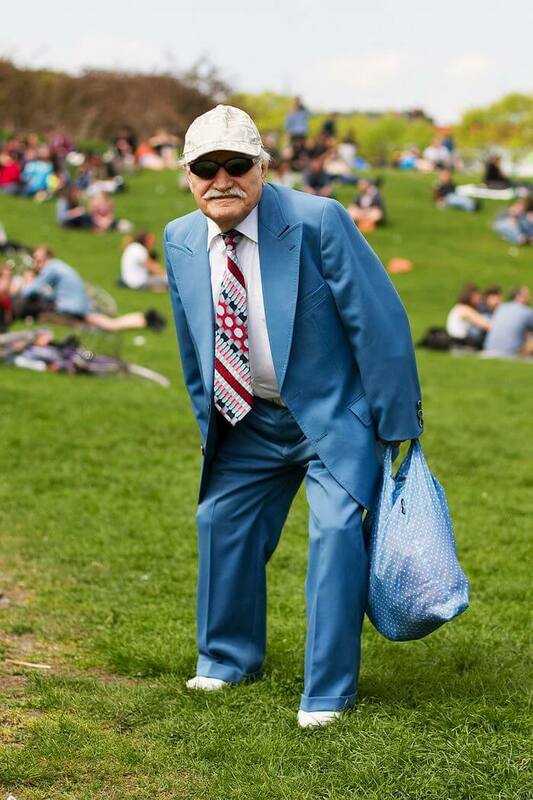 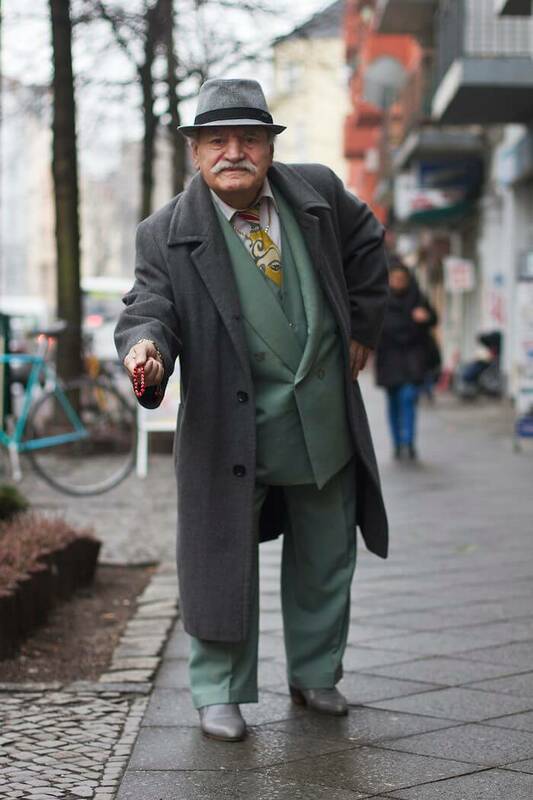 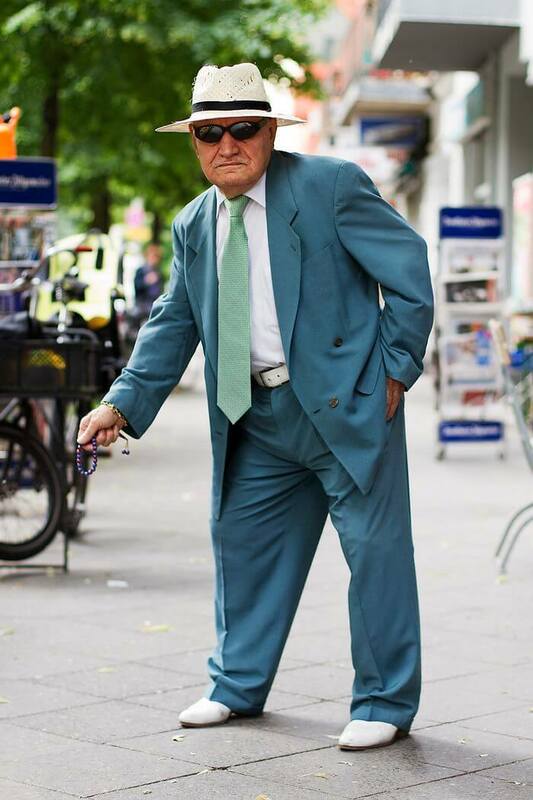 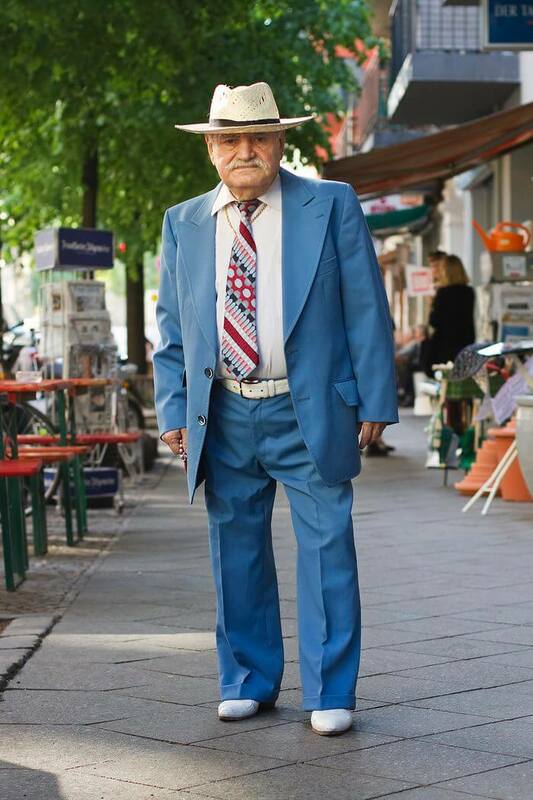 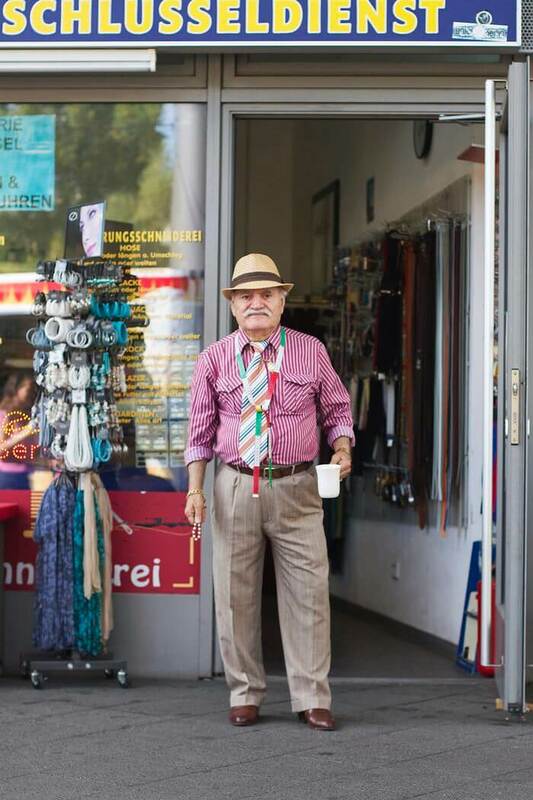 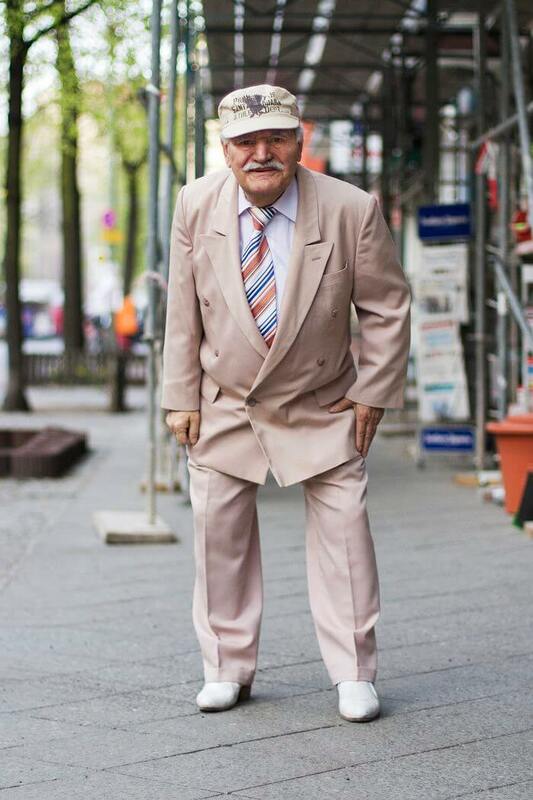 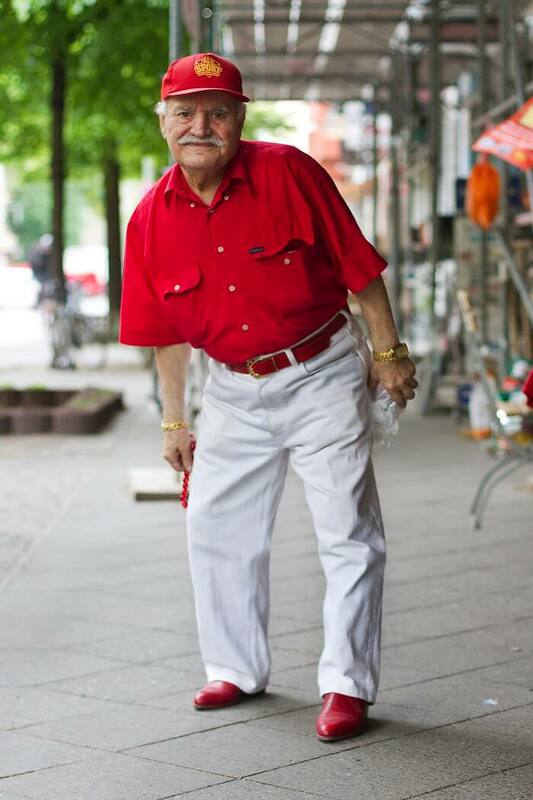 The Turkish/German 86-year-old Ali doesn’t loose the passion for fashion as time goes by. 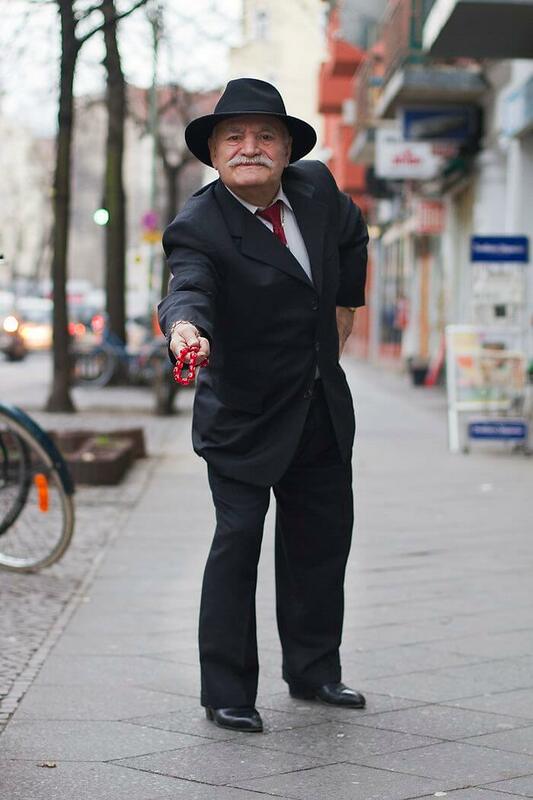 We hope he’ll carry his stylish outfits through the streets of Berlin for many more years to come.